Have you given much thought to your exterior lighting situation lately? For many homeowners, the exterior lighting is nothing special. In fact, most homes have nothing more than a simple balcony or patio light outside of the back door. 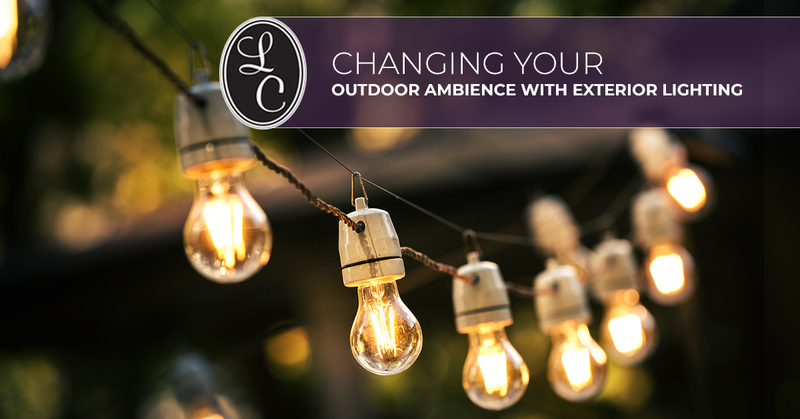 Are you looking to change up your outdoor lighting situation in a big way? It’s time to consider some fresh new ideas! This, obviously, only applies to outdoor areas that have some kind of overhead cover. Whether you have a patio that has some roof space, or an overhead pavilion, you simply need something the chandelier can hang from. The right outdoor chandelier can evoke a classy feeling that turns your outdoor space into an area that people will actively spend their time in. However, you have to be clever with the chandelier, as it’s also important to find the furniture that will complement it. One of our favorite solutions is setting up a dining table outside. The chandelier creates a feeling of fancy luxury, turning it into an excellent spot for fine dining, romantic dinners, or general outdoor dining. We’re living in an age where technology, screens, and fluorescent lighting intrude on our lives on a constant basis. For that reason, more and more people are craving an outdoor area where they feel like it’s easier for them to connect to nature and the outdoors. Lanterns are perfect for this! Lanterns are elegant in their simplicity, and they evoke a more humble age. Lanterns are a great way to connect to the roots of mother nature because reminding us of a time where technology didn’t control our lives. If you’re looking for a nice, simple escape when you go outside, this should be your go-to solution. Want to create a nice homely feel for your outdoor area without turning it into a light show? If you want more widespread coverage than what lanterns provide, vintage bulbs are a great idea. You can put these on fixtures, but our favorite option is vintage string lighting. Vintage bulbs are the ones that are perfectly clear, where the filaments can be clearly seen inside. The filaments of vintage bulbs, rather than being blinding white, glow with a dull yellow-orange, reminiscent more of a candle. This harkens back to the early days of electric lighting and will definitely help to establish a more rustic, country feel for your outdoor area. The truth is, the suggestions in this post only scratch the surface of the incredible amount of variety that you have with exterior lighting. Want to truly know the potential that your patio, porch, or yard has? Stop by the Lighting Concepts lighting showroom in Trussville today! We have an extensive variety of products and pre-arranged setups that demonstrate just how effective certain lighting fixtures can be. Contact us, or stop by our showroom! We know you’ll love what you find.